With population density increasing at an exponential rate, people are moving into ever-smaller living quarters. Thus, interior space is at a premium and it can be difficult to find room to do laundry. Enter compact washers. We at Appliances Connection would like to give you an in-depth look at the most reliable models of this year. If you are looking for a deep down clean, this model from GE is perfect for your family. With a 4.5 cu. 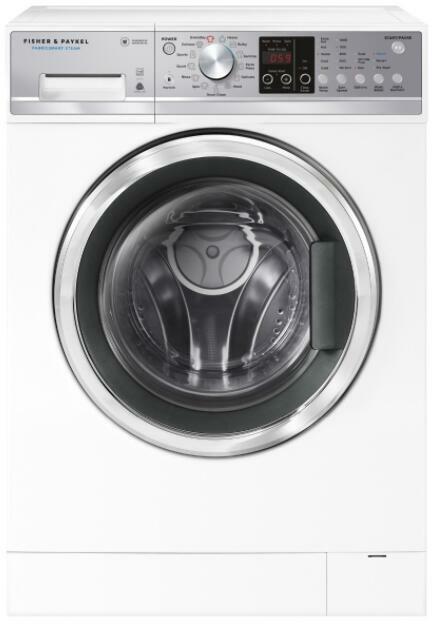 ft. interior, this washer offers plenty of capacity and is rich in features that can make your busy life easier. Sanitize Cycle kills 99.9% of bacteria found in your clothing for a super clean feeling. End Cycle Signal notifies you when your clothes are done washing. Quick Wash allows you to clean your lightly soiled clothes in a hurry. Stain Removal Guide provides you with five settings to eliminate the most common stains found in clothes. 10 Wash Cycles help you customize cleaning to your specific clothing fabrics. Tumble Care keeps your clothes cycling periodically for up to eight hours to prevent wrinkles. 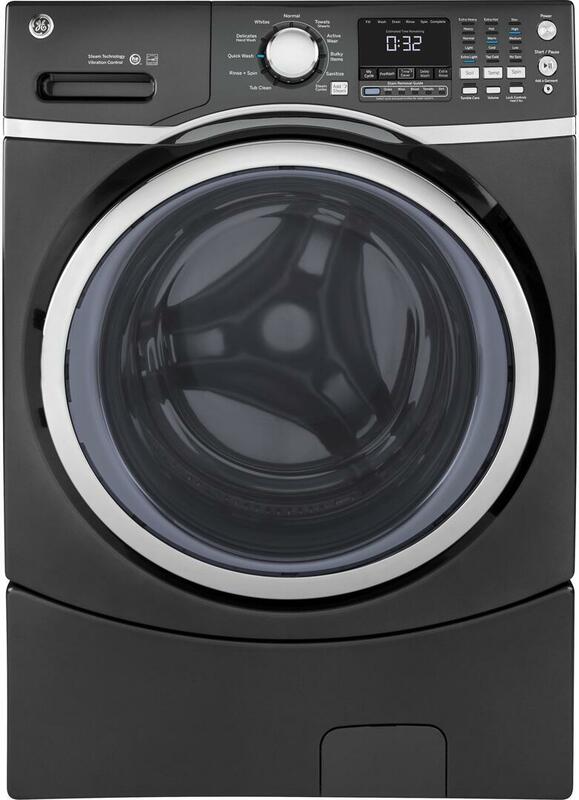 You’ll find plenty of cleaning power in this Energy Star-rated Electrolux washer with a 2.4 cu.ft. capacity. This washer has a contemporary design that is only enhanced more by its modern features, making it easier than ever to keep up with your laundry responsibilities. ExpertCare Wash System uses innovative technology to rotate your laundry in both directions to get it cleaner in one washing. Perfect Steam allows steam to rise up into your laundry to get rid of those stubborn clothing stains easier. 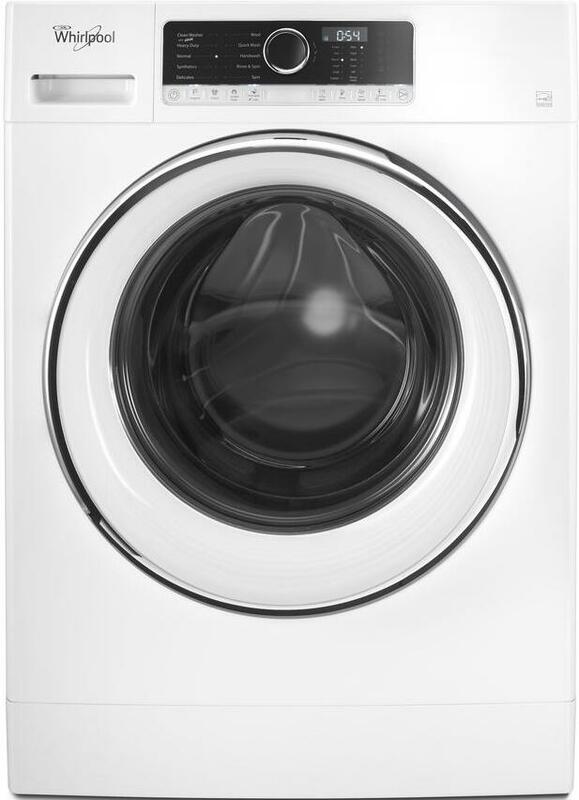 IQ-Touch Controls allow for ergonomic operation and more advanced technology in your washer. 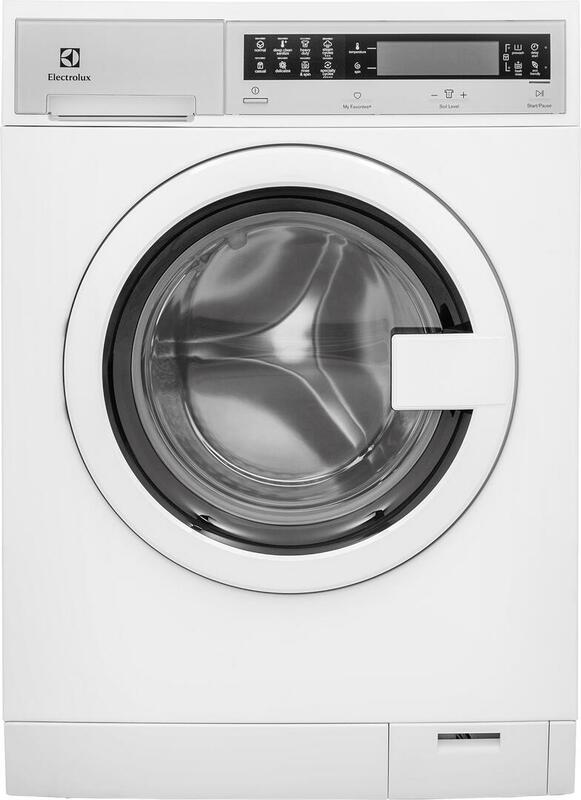 1400 rpm Spin Speed to get as much water out of your clothes as possible for quicker drying. Eco-friendly Design provides 75 percent more energy efficiency and 56 percent less water use, so you save on your utility bills each month. Perfect Balance System gives you a quieter operation even when situated on the second floor. If you are limited on space, this 2.3 cu. ft. capacity front load washer from Whirlpool will give you generous cleaning capabilities in a compact footprint. Even at its small stature, this washer is mighty and will get your clothes super clean in one washing. Detergent Dosing eliminates adding too much washing detergent to your clothes, preventing residue build up. Memory Start keeps your last settings in place so you can wash multiple loads quicker. Prewash Option eliminates the need to soak and spot treat your clothes as stains are removed easier with this cycle. Colors Option prevents fading of your brilliant colored clothes, retaining their integrity even after multiple washes. Heavy Soil Option gets your clothes cleaner by breaking down stains and getting rid of soil with an extensive rinse cycle. Wool Cycle makes it possible to wash your delicate fabrics at home as this cycle uses a slow spin cycle and gentle water pressure. This 2.4 cu. ft. capacity washer from Fisher Paykel will save you time as you wash with a wide variety of wash options and programmable settings. This washer incorporates an up-to-date design with features that make washing your clothes as efficient as possible. SmartDrive means quieter operation and fewer parts to wear as no belts, pulleys, or blocks are used in the development of this washer. Steam Clean lets your detergent work more effectively by widening the fibers of your clothes so they can get a deeper clean. 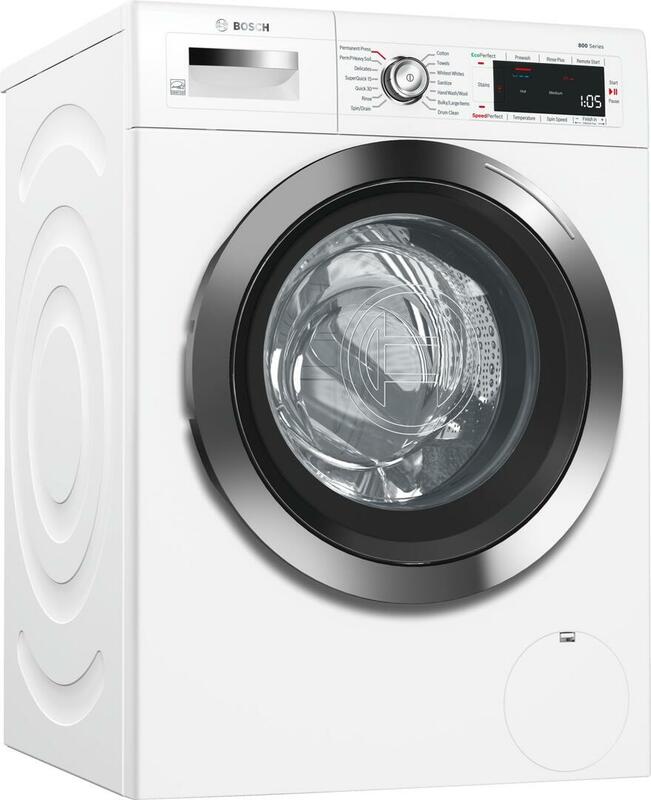 Time Saver makes washing faster by using specific temperatures and tumble cycles to help you out when you are in a hurry. Drum Cycle eliminates that musty smell by giving the drum a bath after 100 washes. Add a Garment Function lets you slip in another piece of clothing that you may have forgotten; even when the washer is running. Multiple Wash Options offer you 13 choices so you can choose just the right cycle to clean your clothing and linens. Big capacity comes from this Bosch washer with a 2.2 cu. ft. interior. This model, from the 800 Series lets you clean as many as 18 towels in one load, making it possible to cut down on the amount of wash you have to clean each week. Home Connect engages with an app on your phone or tablet, allowing you to control and monitor your washer capabilities. Nest Connectivity makes it possible to use this system to signal when you are not home, so your washer doesn’t run unless you are there. EcoPerfect Cycle saves you money as your wash by adjusting the temperature for more energy-efficient washing. EcoSilence Motor makes your washer as quiet as possible so you can wash at all hours without being disturbed. AquaStop Plus eliminates the possibility of water damage in your home. SpeedPerfect washes your clothes 40% faster so you can spend more time doing the activities you love.